First African American Children\'s Librarian in the United Sates when she was assigned to work with sightless boys and girls at the New York Public Library. 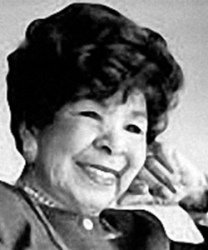 This pioneering soror became the first Coordinator of Children\'s Services at the San Francisco Public Library (1963). She was the first African American to hold the following positions: President of the American Library Association - Public Library Association. (1971), President of the National Braille Association (2 terms) and First female Chairperson of the Library of Congress Association.